There is a common misconception that meditation needs to be done cross legged in a quiet room with no music or movement for a specified amount of time. This is far from the truth and has prevented many from opening themselves up to this form of relaxation. Meditation is about bringing your mind to a single point of concentration. There are many ways to achieve this goal. I want to focus on “moving meditation”. This can take several forms, including gentle flowing yoga, Qigong, Kai Chi Do and Tai Chi. I will use Tai Chi as an example, but there are many types to choose from and I encourage you to research those that appeal to you. Tai Chi was developed in ancient China. Originally it was a martial art and a means of self-defense. Tai Chi can be translated to mean “internal martial art” and focuses on internal force. This is different than other martial arts, which focus more on external force. Tai Chi is used for freeing blocked energy in the body. It helps to balance the yin and yang (Chinese concepts of opposing life forces within the body). When practicing Tai Chi, people move in slow, graceful movements. Posture is important and the body stays in constant motion. Meanwhile, one must also breathe deeply and in a relaxed manner, setting aside distracting thoughts and concentrating on the breath and movement. Those who find “still” meditation difficult because they are bombarded with outside thoughts may find it easier to block these distracting thoughts if they are concentrating on movement. Tai Chi, Qigong, Kai Chi Do and similar movement mediations can be very effective at calming the body and the mind. They can be practiced in groups or alone with similar results. If you are the type of person who just can’t sit still and needs to have movement in all aspects of your life, I suggest you research different movement meditations and find one that interests you. Although the risks are very low, always consult a doctor before beginning any new exercise program. All summer Mainers have been celebrating with their right to shoot off fireworks. Loud bangs, whizzes and pops can be heard over miles in the night air. I’m as excited about the fireworks shows as most. I’m always at the Summerfest fireworks at camp I run out on the fourth of July to see the colors. As I’m running toward the best viewing area, my brother-in-law and many other soldiers as well as dogs are running to the bathroom medicine cabinet and a padded room to blot out the sounds. On the fourth, the same people we honor, those who protect our freedoms, are the ones who can’t stand the loud noises and bangs. Post Traumatic Stress Disorder has them running for something to stop flashbacks to active combat zones. There are the serious cases like the ones above, but there are also the stories of people who want to go to bed early because they have to work in the morning. So when the neighbors are out exercising their rights to celebrate with fireworks, they are also keeping the couple next door awake. What if the nice elderly couple next door got up at 5 a.m. and started playing their music extra loud, or rev the engine of their muscle car? Wouldn’t that make late night partiers upset? Is it fair to keep them up late and expect them to be quiet in the a.m. The double standard is beginning to cause a problem for residents of Windham who feel that the fireworks ordinances are too flexible and are not fair to taxpayers who only want to enjoy the lake and some peace and quiet in nature. On the flipside, vacationers who dropped hundreds of dollars at the fireworks stores that have popped up overnight want to have a place to shoot off their purchases. It’s a catch-22. What side do you fall on? About 10 years ago I was lying under a bench press in the basement gym of my parent’s home when I felt a lump about the size of a golf ball. I was not the least bit alarmed – lumps are normal when living a very active lifestyle. It wasn’t until about six months later when I was in Houston, Texas having a completely unrelated surgery that I found out that little lump was in fact a tumor and I had a very advanced level of stage three Non-Hodgkin’s Disease Lymphoma. My life changed forever with that diagnosis, as did my approach to marketing, relationships and sales. Below are a few lessons I’ve learned by joining the 10-year survivor club. When given the opportunity, laugh: Many of the worst business decisions that I have witnessed being made came at juncture where someone could have taken a moment, a breath, and laughed at the situation and tried to regain composure. Often times, business people take themselves and the situations they are involved with too seriously and forget about the reason they went into business. Suddenly the bills pile up, health insurance costs rise, and your best-selling product goes off the market. There is nothing funny about any of that. But, there is something funny about life and no matter how tough it gets – if you’re reading this – you’re still breathing. There is someone who loves you and there is something to laugh about. Take a moment to walk outside breathe in deep and be thankful for the minutes you have been blessed with. Don’t let the little things throw off your game, find the humor in that spilled cup of coffee, power outage or employee fiasco. A little laughter can lighten the mood and re-energize your situation. Live in a world of mutual admiration: I have a close friend named Dr. Bruce. He is one of the most fascinating and inspiring people I have ever met. He has traveled the globe; discovered insects that no one ever knew existed, and worked with my childhood hero – Jane Goodall. One day Dr. Bruce and I were talking and I told him how much I appreciate his friendship and how much I respect his work. He responded by complimenting me on a few traits that I carry and then said, “David, I think you and I live in a world of mutual admiration.” His statement was very true and it’s a world that I have found quite beneficial to live in. In fact, I consider it a lifestyle choice where I choose to find the best qualities in people, expect the best from them, and do not expect to get hurt by them. It has resulted in countless relationships that I hold close to my heart and yes, a few heartbreaks. People often tell me that I need to prepare for the worst, or if a business deal goes bad that I should have been more realistic. I choose to ignore that advice and instead believe that most people are great, faithful and caring. Very seldom am I let down. When I apply this lifestyle choice to business decisions and marketing I have found that my business relationships become deeper longer lasting, and my connections more amicable to introducing me to other folks I may need to network with. I try to tell people what I appreciate about them and I have yet to have offering a compliment come back to haunt me. Be nice, and honest, tomorrow may not come: I was almost 20 when the first needle that was delivering a toxic dose of chemo pierced the bulging vein on my left hand. It stung and felt like that first treatment would never end – but, eventually it did. The following week my oncologist informed me that that first dose was working well and he suspected I would survive. Until that point I really did not know. My parents only knew that their youngest son was full of cancer and his and their lives were about to change forever. It was underneath that bag of chemicals that I had time to think about and decide how this experience would affect my life. The decision I made was that I would do my best to always offer value to any relationship I entered into (business or personal) and that since tomorrow may not come, I better work my hardest to make sure that today is memorable. I apply those lessons today to my work life and personal life. Always be honest and always be nice, tomorrow might not come and you never know who the person knows that you’re about to lie to. Cancer was one of the best things that has ever happened to me. At 19 years old, I was able to learn lessons that nothing else in life could have taught me. Lucky for me I survived and am still surviving and just hope that the three lessons above help you with your next business pursuit. No matter what age or academic level, employing effective studying strategies can make all the difference between acing a class, barely passing or, worse, failing miserably. Unfortunately, many of today’s most common study methods can lead to utter disappointment despite best efforts and intentions. In fact, recent research out of the University of Wisconsin-Madison found that many popular study habits are not beneficial at all and, in some cases, are actually detrimental. This year, ditch the surprisingly shoddy study habits and, instead, utilize proven effective and emerging technology-based strategies as building blocks to get ahead—in school and, ultimately, in life. 1. Studying at Home: Studying at home might be convenient and easy, but there are way too many distractions lurking around the residence. Maybe it's a talkative roommate, the TV, texts and the lure of Facebook, or the growing pile of clothes that are just begging to be washed. Any of these can break concentration and make studying less effective. Consider going to the library and finding a quiet room or desk away from all of these diversions. 2. Listening to Music: The benefits of listening to music while studying have been argued time after time. Although classical music was once believe to increase spatial abilities and improve learning, subsequent research was not able to support this theory. In fact, recent studies show that music may actually impair cognitive abilities and hinder memorization because of the changing words and notes in songs. Studying in silence or amid a little white noise will not distract from thinking and can help a student concentrate without the disruption of lyrics and changing tempos. 3. Procrastinating: Every student is guilty of procrastination at one time or another, but just because it's common behavior doesn't mean it's acceptable. Procrastination can lead to doing things halfway and not retaining as much information as necessary to ace that exam. If a student is pulling frequent all-nighters or rushing in fire-drill mode to finish every essay or project, then it is time to work on time management skills and a schedule earlier, and calmer, study sessions. 4. Not Making an Outline: If a student is not making outlines while studying or writing a paper, then the results most likely will not be the intended grade. There are many reasons to make an outline. It helps to keep track of large amounts of information, organize ideas, and present the class material in a logical way. Instead of trying to reread a textbook or write an essay from scratch, make an outline to organize thoughts and study more effectively. 5. Highlighting the Textbook: Some study advice books recommend reading a textbook and marking the pages with a neon highlighter as the best way to study for an upcoming exam, but, in actuality, this is one of the least effective ways for students to remember content. Instead of coloring entire pages with highlighters and trying to reread the text, a student can quiz themselves on the material they just read. This will help to retain more information and score higher on exams. 6. Pulling All-Nighters: Many at the high school and college level are particularly guilty of it, but staying up all night cramming for an exam has been shown to do very little good for test preparation or performance. Not only does sleep deprivation turn students into zombies, but it also takes a serious toll on happiness and overall well-being. The best way to avoid pulling all-nighters is to study ahead of time. It's easier said than done, but the only way to avoid pulling an all-nighter besides not studying at all. Dedicate a few days a week (or more) to study and review the material to avoid trying to cram everything into that brain in one night. 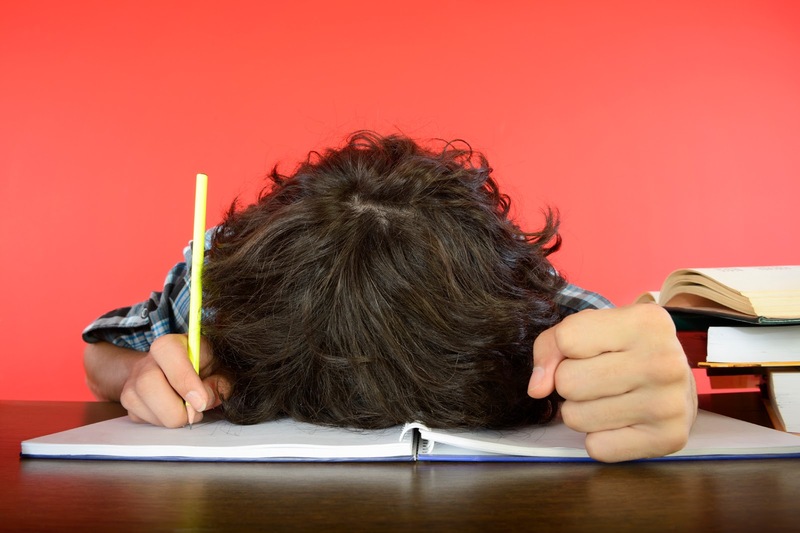 So, what can a student do to make their studying endeavors more effective? 1. Pay Attention to Study Location: Find a quiet, uncluttered, distraction-free area away from the residence, and try a few locations until the ideal study place is discovered. Different spots may work for different subjects, too! Whatever the location, leverage powerful new mobile, interactive study solutions that allow high school and college students to better prepare for tests and course work through any portable device from anywhere, at any time. Such engagement helps students better prepare and minimizes stress, providing everything needed to study in one place, including hundreds of practice questions, detailed explanations, guided study plans, and high-quality reading content from the world's most respected publishers. 2. Vary Study Topics: Psychologists say alternating study topics rather than cramming on a specific one in a single session leaves a deeper impression on the brain. So, don’t grind on the same subject all night. Change it up, take breaks and re-visit the material in intervals—even spacing over a period of days if possible, which has been proven to enhance retention even further. 3. Make Information Meaningful: Whether it's creating rhymes or patterns, or even relating material to something else perhaps through word or scenario associations, such tactics can make information more meaningful and, thus, will enhance information recollection. The University of Maryland reports that mnemonic devices, or memory tricks, are particularly useful for remembering factual information like names, dates, formulas, or other information that requires rote memorization. 4. Tap Online Resources: Don’t get stuck on a problem or resigned to an ill-fated grade in a difficult class as there are powerful resources at a student’s fingertips. For example, companies like Academic Earth offer a comprehensive online collection of free video tutorials for college courses—all accessible at no cost. Other companies like OpenStudy enable Internet users to readily connect and engage with other students who are learning the same subjects at the same time—regardless of school, expertise or location—facilitating online, on-demand peer-to-peer assistance, support and other helpful interactions. 5. Engage in social learning: Research has found that there is a benefit to studying with friends. In one recent study from the Jacobs School of Engineering at the University of California San Diego, it was revealed that “the higher the volume of interaction, the more likely the students were willing to exchange information in more complex ways and with greater frequency, forming ‘information cascades,’ a mechanism that spreads information from a single source to one or multiple sources.” The data showed that the higher the scores of the students, the higher the percentage of their interactions that were constant. 6. Have a Great Study Attitude: Think positive and focus on skills. Rather than dreading the experience, thinking positive will make the time to study easier to approach and mindshare won’t be expended on feeling resentful. In fact, “study attitudes” was identified in research as one of four pillars that “play a critical and central role in determining students’ academic performance.” In short, study time is a friend. Regard it that way and, soon enough, any student can look forward to a productive, self-fulfilled academic experience. Ultimately, students should identify their own study preferences—what works for them on a consistent basis—and act accordingly. For example, some students study better in the morning or can better focus in smaller chunks of time rather than a marathon session. Knowing exactly what does and does not work on a personal level, even tracking study patterns and correlating it with related grades, and then proactively creating a study plan and schedule around the proven effective methods, is the most powerful study tool of all. 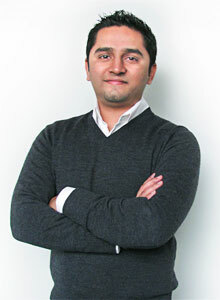 Education futurist Ashish Rangnekar is CEO of BenchPrep, a pioneering EdTech company that uniquely creates test prep and other subject-based interactive courses that can be accessed via computer, iPhone, Android and iPad for on-demand, on-location learning. He may be reached online at www.BenchPrep.com. I so enjoy this time of year. The last days of summer are upon us and all around are evidence that fall is fast approaching. Goldenrod along with wildflowers, Black-eyed Susans, and cat-o’-nine tails dust the fields, sides of the roads, marshes and lowlands. Tops of trees are beginning to show their colors too and my cats’ coats are starting to change from their summer to their winter silky fur. Added to the latter are the arrival of crayons, markers, notebooks and backpacks which have replaced the summer stock in nearby stores. Road side stands and farmer’s markets are packed with native corn, acorn squash and small pumpkins. Autumn is nearby. The rhythm of the seasons have a precision to it with each one bringing its own characteristics in terms of foliage, flowers, insects, animals, temperature, etc. Those of us who live in New England experience first-hand how finely-tuned the balance is between the seasons. There is an specific composure in nature and when that is upset in any way, the entire system goes awry. Just as the cadence of the seasons is necessary for a specific environment to survive and be able to function properly, so too is it with people. Our bodies as well as our mental states need and thrive on what is known as homeostasis or balance. Any time there is a deviation from homeostasis, our being able to function at an optimum level is thrown off. However, being able to remain in a state of equilibrium is not an easy task. Our lives are in constant motion and are senses are bombarded each day with a myriad of stimuli as well. Because we live in a fast-paced type of existence, our physical and mental harmony is in need of constant monitoring to assure that it is where it is supposed to be. Not having a healthy balance can lead to a state of health that tells us something is not right. Whether it is a simple head cold, a case of indigestion or a bout of anxiety, it could be that what needs to be addressed is whether there are factors in our lives that can be changed or modified in a way so that balance can be restored. Some ways to address the concept of balance and to help restore it can be found in simple strategies. Having enough sleep is the first essential, especially for one’s mental state. The average amount needed for an adult is about eight hours, though some find that six or seven hours is doable. Sleep in not only necessary for a healthy body but also for a healthy mind. We need to have a good amount of REM (rapid eye movement) sleep, which is where most of our dreaming occurs to help keep us in balance. Eating well is important as are other things that we all have learned about on a consistent basis. Equally significant though is the unique part of each of us that is located deep within our psyches. The place that harbors desire and need for that special something, which motivates us to get up in the morning and to carry on. Whether that something is reading, writing, sculpting, washing the car, climbing a hill, skating, or just sitting and watching the trees turning colors, it calls us to stop and to heal ourselves so that balance can be restored and we can be whole again. Although it might sound cliché to say stop and smell the roses, many of us need just that to stop. Stop, in order to breathe deeply and let go of the pressures that envelope us. Stop, so that the beauty of the woods, fields, ocean, mountains or our own backyards can penetrate our senses. Stop, and unplug the coffee pot, the computer, the phone, the television and anything else that needs to be switched off for a while. Just as the rhythm that allows the seasons to change effortlessly so as to maintain equilibrium occurs, we too have that same beat that tells us what the body and mind needs so that balance can be restored. Take some time and check it out. Balance awaits you. Your body and mind will love it. Let me begin this by saying, I was never a skateboarder. When the fad hit my small town in the early 1990s, it didn’t matter that I had enough money saved from delivering the St. John Valley Times weekly newspaper to 80 houses every week. My mother simply would not allow me to have a skateboard. With that said, I lived in Van Buren, a town which is known to be… well… behind the times and extremely poor. When the citizens of a community are poor, the town tends to be poor as well, so even if I did own a skateboard, I would have had to find a railing, curb, or other object to “Ollie” and/or kick-flip over, because our poor little town did not build a skate park for us kids. The vandals that decided to tear up the Windham skatepark were clearly bored. Angry that they lived in a tiny town like Windham, they decided to take their frustrations out on inanimate objects that the taxpayers provide to the young people, for their exercise and enjoyment. The vandals obviously forgot that they live a mere 10 miles from the largest city in Maine. They must not have an Xbox or PlayStation at their disposal. Clearly, the vandals must not have some sort of broadband Internet connection at their fingertips with access to the World Wide Web. They must not know that they can watch movies on Netflix for about $10 a month. When the money runs out, there’s always the Mountain Division Trail, which must have had hundreds of bears running amok that day, because obviously they couldn’t go there to expel their youthful energy. That must have been the same day that a great white shark was spotted in Sebago Lake. None of these options were viable. They just had to tear up the skate park for their maximum entertainment value. Maybe it’s because I pay property taxes, but when I heard about the vandalism, it angered me at a visceral level. The people that provide the youth with this skate park will never use it. It is provided through the hard work and energy of adults that want nothing more than to give something to the young people of this great area. There is so much to do within a 15 minute drive of Windham. If the vandals are reading this, I have a message: The next time you get bored, whip out your smartphone and Google, “Things to do in Windham, Maine”. I promise, there’s plenty to do that will keep you from destroying what the taxpayers provide. Historically, libraries have always shared information and materials. Over the last several years, librarians have realized the importance of partnering with a variety of organizations. This last year, Raymond Village Library has formed new partnerships and existing partnerships continue. The library regularly connects and collaborates with local businesses, banks, local government, schools, other libraries and various organizations in order to provide opportunities to the community. The Raymond Village Library is pleased to partner with the Windham Public Library, the Sebago Lakes Chamber of Commerce, the Maine Humanities Council and the Mid-Coast Forum on Foreign Relations, to offer a new speakers’ series on foreign policy. The World in Your Library is a pilot series that connects libraries across the state with Maine-based foreign policy experts, scholars and practitioners who will give presentations on critical foreign policy issues selected by the library. Raymond Village Library and Windham Public Library have selected three speakers and topics for hour-long presentations on important global issues. Monday, August 19 –6:30 p.m. to 7:30 p.m. – Windham – Andrew Stanticoff, “Strategic Minerals: What the U.S. Needs”. The U.S. relies on strategic minerals for high tech and military applications. This presentation will provide background on the problems associated with the need for an acquisition of those materials. Contact Windham Public Library at 892-1908 for more information. Tuesday, September 10 – 6:30 p.m. to 7:30 p.m. – Raymond – Ron Jarvella, “The Chinese Intelligence Network”. This presentation discusses the Chinese Intelligence network, exploring how it is structured, how it operates and what it is after. The Chinese pioneered the idea of gathering intelligence on enemies, potential and real. They have been at it longer than anyone else. As seating is limited, please pre-register at the library, call 655-4283 or email sally.holt@raymondvillagelibrary.org. Monday, October 21 – 6:30 p.m. to 7:30 p.m. – Windham – Henry Laurence, “Public Broadcasting in the Digital Age”. The “new media” revolution has transformed the role of the press, empowering individuals but threatening to destroy traditional journalism. This presentation will discuss the future of public broadcasting in the light of the recent scandals at the BBC and political attacks on PBS/NPR. Contact the Windham Public Library at 892-1908 for more information. On a related note, Raymond Village Library is updating its long-term strategic plan and is seeking input from the community to appropriately focus library services and resources. As part of this process, the library is seeking your input, whether or not you currently use any library services. As a token of appreciation, all who complete and submit a survey will be entered into a drawing for a $75 Amazon gift card. Surveys are available at the library, the Raymond Town Office and at www.raymondvillagelibrary.org. Summer is fading quickly this year, it seems, the hot days of July and August are quickly being replaced by much cooler and more comfortable fall weather. It’s a perfect time to get back in the garden and do a little bit of cleanup before school starts again and time is taken up by sports practices and helping with homework! Weeding is a never-ending task, to be sure, but pulling weeds now, before they have a chance to drop all those seeds they’ve been happily producing all summer, will greatly reduce the amount of weeding you will have to do next year. It’s best to get the entire root system, if possible, even on the annual weeds. A dandelion will re-grow to its full size from as little as quarter-inch of root! You can add your weeds to the compost pile, but keep in mind that most home composts don’t get hot enough to cook and kill the seeds, so be careful where you use it! You might just be planting a beautiful, healthy crop of weeds with your compost. Many summer-blooming perennials are starting to slow down their flower production. Beebalm, phlox, and other tall plants can tend to flop over, making the garden and border look messy. A hard cutback of these plants after the flowers have mostly passed will neaten the garden and will also often encourage a flush of new growth and occasionally a brief bloom in late September. There is still plenty of time between now and when the garden will be put to bed for the plants to store energy for next season, don’t worry! Fluffing the mulch on the beds or top-dressing with another inch or so will help the late summer garden pop with color. The stirring and top-dressing will also help prevent weed seeds from taking root and attempting to hijack all your hard work. Fall mums will be ready in a few weeks to add that quick splash of color, too, so save some room in the border for them! How is it even possible that camp has ended and school starts next week? We are seeing some heat this week and with this heat comes the inclination to cook outside. At my house, this means cooking on the grill. I know, I know, I’ve done the grill thing, but I’m throwing in a curve ball here – I’ve not done pizza on the grill. This week’s Foodie Fare is all about my accidental grilled pizza. Typically, I frown upon the use of processed foods. I love fresh food. That being said, I was in a time pinch trying to crank out something tasty for my mother and I to enjoy while doing some last minute prep work for my wedding this past May. I opened the fridge and found ready-made pizza crusts (my wife uses them to make pizza for herself when I’m not around), some shredded cheese (cheddar and Monterey Jack mixture), a link of kielbasa, and half of a shallot. It was warm that day, just like it is now, so I didn’t want to use the oven. I began to think and as I was moving my grill on the deck so that I had some extra space to get to the clothes line, it clicked – grill it! I pulled out some foil, flipped the crust over and basted it with olive oil and then sprinkled it with salt and pepper. After flipping it back over, I spread some marinara sauce on top then layered the shallots (sliced, thin, of course) and kielbasa. I topped the pizza off with the shredded cheese. To add just a little more flavor, I sprinkled some chopped garlic on top. Knowing this was an experiment, I was a little nervous because I didn’t know how long to cook it. I cranked up the grill and got it to sit around 450 degrees. I placed my pizza, on the foil, on the top rack of the grill and closed the top. I checked on it every five minutes or so and found that it was cooking perfectly. It was on the grill for no longer than fifteen minutes. When the pizza came off, and was sliced, I was pleasantly surprised to find that the bottom of the crust picked up a lot of color, but was not burnt, and was super crispy. Upon our first taste of the pizza, we found ourselves enjoying the flavors that were created by the grill and by the olive oil on the bottom of the crust. Yesterday, made a pizza the same way only I used cream cheese instead of marinara, and I added some Italian sausage. It was to die for! Definitely a great alternative to homemade pizza on a hot day! Baste the bottom of your crust with olive oil (use a pastry brush), and season with salt and pepper. Flip the crust over, spread with marinara and top with your favorite toppings. Finally sprinkle with shredded cheese. You want to be able to still see your toppings through the cheese. Use cream cheese instead of marinara. Do not use any shredded cheese for this. Use alfredo sauce instead of marinara. Use mozzarella instead of cheddar. Insight - By Kelly Mank - The Windham Eagle celebrates 6 months!!! Wow… 26 editions… We are 6 months old. I can’t believe how fast the last 6 months have gone. I personally have learned a lot about the publishing and newspaper world. I want to thank our amazing team, the town, the companies, and the residents for being huge supporters of this paper. I am super happy to see how positive and solutions-based news is not only wanted, but depended on. I feel like we have given our children something they can read and learn from, as well as given our community a tool to get information to our communities. Now, don’t get me wrong… the last six months have not been a picnic. A lot of people drive by in the middle of the night on Wednesdays and see that our lights are still on, but we have made the absolute best of it. We do need to send a very special thank you to Lisa DeFosse for making the most amazing chocolate chip cookies and bringing them to us almost every week right out of the oven…amazing! Thank you Lisa, we could not have made it through without you! I want to personally thank a few people who I would not have been about to do this without. Michelle Libby, our Editor-In-Chief, who has taken on a huge amount with this paper and I think does a fabulous job every week finding the news that people want to read about, and pulling everything together every Wednesday. Dave deBree has been our account manager since day number one with his long time newspaper experience and knowledge he has helped to make this the best paper around. Office manager Tiffanie Powers manages all accounts, helps renew ads, sources all phone calls, basically is the go-to person on everything. Michelle Edwards, graphic designer, makes our paper look professional, different, and a stand out for all of our partners, clients and the community at large. Thank you to the Windham and Raymond communities for making The Windham Eagle the best paper around! We look forward to celebrating our 1-Year Anniversary with you! So, as any parent, player or coach knows, once a season comes to a close, there is a feeling of letdown. It is that almost empty feeling of what am I going to do with myself? With the elimination of Windham from the American Legion Baseball Regional Playoffs, this letdown feeling has hit me. It is the same feeling I had when I coached Little League. Once that final out was recorded, it was a mixture of emotions. Combine these together and shake well: relief, sadness, loneliness and some level of anxiety. So, in just a few weeks, I will pack my son up and move him into college for his freshman year. Shortly thereafter, I will move my daughter into her college for her junior year. So, added to the emptiness of not supporting Windham baseball now comes the emptiness of a house looming. It is an odd mixture of emotions that I am faced with in this moment of time. Let’s switch gears and look to others. Coaches Brody Artes and Aaron Talon just finished up coaching their sixty-first game this past weekend. Sixty-one games since the end of April! Thank you coaches! In just a couple of weeks, Mr. Artes and Mr. Talon will be back in their classrooms teaching. The question begs right here and now, what happened to summer? Well, a lot has been written about the boys of summer (baseball term). Our community, parents, players and yes, distant relatives, have followed our boys of summer, from the 9-10 year olds to the American Legion boys. So here’s one last shout out to the boys of summer and the success that has been achieved. And, as far as something to look forward to? Football season is just around the corner. Roughly 11 years ago I was charting out my career path at the University of Southern Maine, and came across a snag in my plan – I needed to land an internship. It was a requirement of the class I was taking and I had no idea where to turn. I was not focused enough on what I wanted to accomplish with the internship – all that I’ve ever wanted to be was independently wealthy and there are not a ton of internship opportunities with wealthy retired business people. So I chose what made the most sense for my personality and quickly gobbled up an opportunity at a local radio station. This was mistake number one. Since I had no realistic focus on what I wanted to receive from the internship I accepted the first (and only) opportunity I came across. I vividly remember my first week as an intern, folks kept asking me what I wanted to do be doing after college – assuming it had to do with broadcast – I would give them all the same answer, “Not totally sure, but this seems like fun!” The sales manager went as far to tell me that my personality lent itself to either sales or broadcasting (some would argue one in the same). She even offered to have me go on the road with her top sales rep so I could experience what they do. I never took the initiative to lock that opportunity down and soon it was lost. Soon I found myself doing simple data entry that a monkey could do. Due to my lack of focus and unclear intentions with the internship I was quickly becoming a member of the administrative team. I delivered mail, filled out excel sheets, and dropped off mascots at large events. None of which I was remotely interested in. Lesson 1: Have a laser focus on what you want to get out of your internship: Just saying I’m interested in radio and this seems like fun – was not a good plan for me. The results reflected my lack of preparedness and focus. Lesson 2: Ask for what you want – more than once: You just became an intern and you’re super pumped about where you’re headed. The company who is about to add you into their fold may not be as pumped about your arrival. Interns can be distracting, annoying and a burden. When you arrive it’s your job to prove what you’ve got. Offer ideas, ask to be in meetings, and ask for what you want. Do you want to be on-air? Ask to be on-air. Lesson 3: Find a mentor: If you wanted to play professional sports I would tell you that you’re going to need a coach. If you want to be a professional anything, you’re going to need a mentor. During your internship that is no different. Find someone who is genuinely interested in you and ask them questions, offer to help and be a good student. The connections you make during your time with them may result is wonderful things for your future. Lesson 4: Know what you don’t want: My life pretty much revolves around my continued journey for happiness and helping others. It was about three days into my internship that I realized 75 percent of the folks I was around hated what they were doing. This spoke volumes to me about the company and more importantly, the lifestyle of the different careers. Go into your internship knowing what you want, but more importantly be open to finding out what you don’t want. “Killing Kennedy, The End of Camelot” is the second book in the wildly successful “Killing Everybody” franchise of Bill O’Reilly and Martin Dugard. The 302 page NYT best-seller was published by Henry Holt & Co. in 2012 and is available at the Windham Public Library. It’s the account of Lee Harvey Oswald’s 11/22/1963 murder of JFK and makes a critical study of the 35th President’s time in office. The authors chronicle the death of the president and the demise of the mythical American Camelot. It’s not an exhaustive academic work, rather a light look at a dark era. In November of 1960 the nation puts John F. Kennedy and his beautiful wife Jackie in the White House. The matinee idol president and his pugnacious younger brother Robert, the Attorney General, quickly upset the balance of power, domestic and foreign. The hard reality of the Cold War is a heavy burden for the first family. The ingénue, Jackie, finds comfort in casting the White House as a mythical place inspired by the Broadway musical, Camelot. The dark side of the myth is soon exposed. Damage begins with the President’s philandering ways. The press has fallen for the Camelot metaphor and covers for him. The Bay of Pigs disaster is a rocky start to his foreign policy, but JFK rights the ship with a successful solution to the Cuban missile crisis. He becomes a better husband and father as he becomes a stronger, more confident president. The first couple is expecting a baby and Jackie’s Camelot seems more possible than ever. Tragedy in August of 1963 though sweeps the newborn from them and forewarns the beginning of the end of Camelot. The depiction of the assassination scene in Dallas nearly fifty years ago is superb. The authors capture the cityscape and human landscape of the Texas metropolis. The state is a battleground the Kennedys need for the election of ’64. But Dallas is an epicenter of southern resistance to Kennedy’s civil rights platform. The Secret Service argues against the trip. Ironically the assassin is a troubled communist sympathizer without a dog in the civil rights hunt; he’s indifferent to the man he brutally kills that November day. America is left undone by the attack; the death of the President is a tremendous blow difficult to absorb. Nearly as unnerving is the loss of Jackie’s dream; Camelot vanishes like fireworks, gone but for the smoke. Phil Baker lives in Windham.